I met a young designer who created ‘mood boards’ for a global US fashion/apparel business. Mood boards are about colours and fabrics and accessories such as buttons etc. The fashion designers stock in trade and the fashion buyer’s guide to new season’s offerings. She told me that this company had an ‘ideal’ customer. The ideal customer was a 30 something professional single male with a Golden Retriever dog. Sounds awfully simplistic doesn’t it? If you think about it in target segmentation terms it says a lot in one small description. Whether you believe that your customers can be segmented as easily as this, try it. And build on it from there. God, what I fantastic picture. 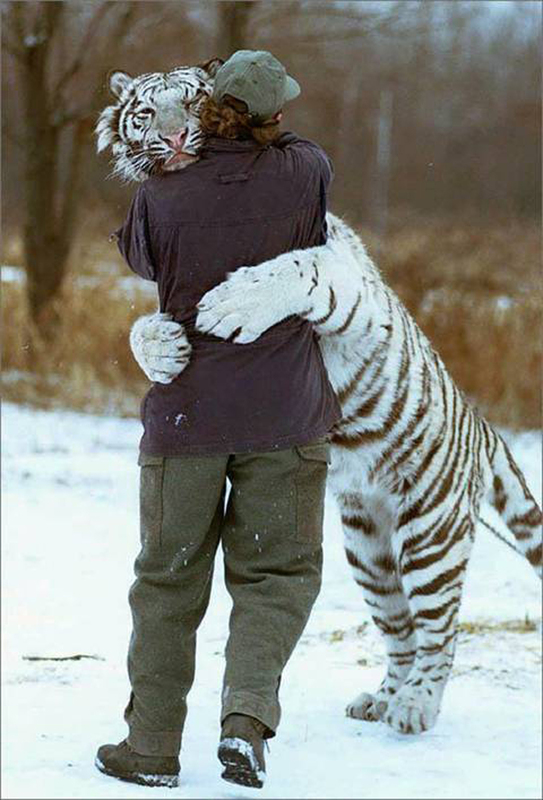 A tiger hug must be so much greater than a bear hug! Needless to say, I adore the customer classification in terms of animals.